Posts categorized "LIBRARIES TO LEARN FROM"
Are people excited to see what's happening in your library? How do you market your library and services to your community? 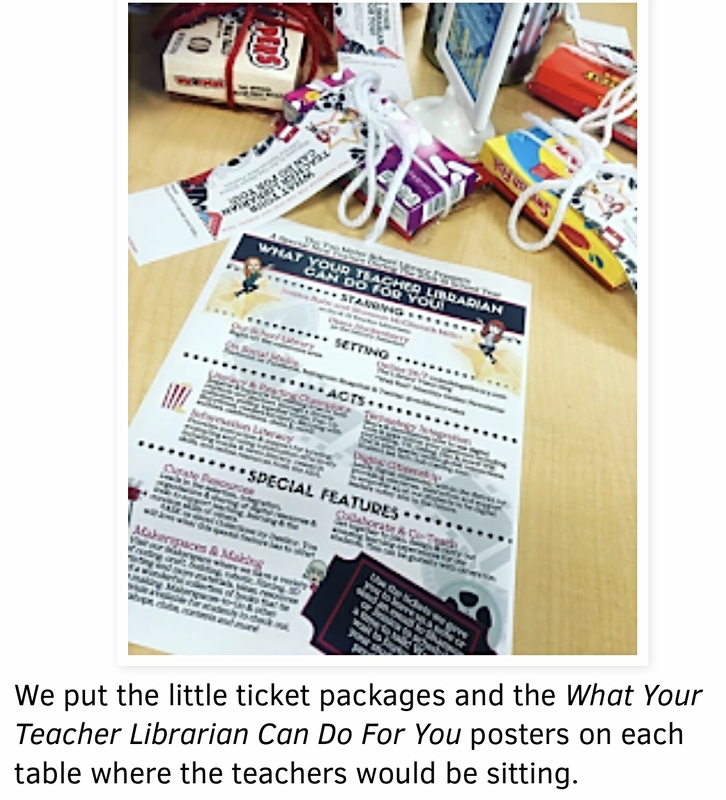 Looking for ideas to bring engaged students to your library this Fall, and more users to your community library? The hard working staff and director at Cornwall Public library in Cornwall, New York last evening officially opened their Teen Space to rave reviews. The project was done with a minimal budget and LOTS of volunteer time and materials. It is great to see how much can be done to make a space function well and be warm and welcoming using engaging paint colors and patterns; space defining carpet tiles; well chosen data/electrically connected seating; functional furniture; the occasional piece of mood lighting and oh yes, lots of love for the users! Can't afford books for your new library? 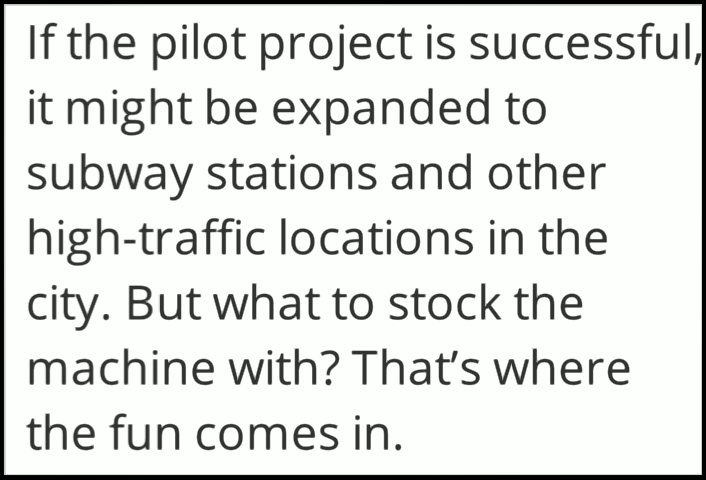 You could have budgeted for them during your planning! A new library building is not an end in itself. The true purpose of your library is to provide programs and services that will meet identified community needs. This photo accompanies an article from the BBC about the Birmingham Libraries reporting that they are not able to afford to buy new books for their new library. A library is the sum total of its programs and services. Planning for the future of your library is about identifying your community's needs and assuring that resources are in place to fulfill those needs. These Four Resources are marshaled throughout the planning process to ensure that you can deliver these services efficiently and cost effectively. The Resources are not an end in themselves. If the cost of one or more of these resources prohibits your library from acquiring any of the other resources, it is an indication of short sighted or ill conceived planning. If you don't plan well for instance ... you won't be able to buy new books. Shortsighted ineffective planning can lead to temporary or permanent disaster. 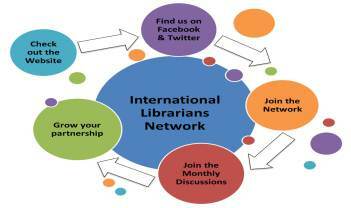 "The International Librarians Network (ILN) is a facilitated program aimed at helping librarians develop international networks. (They) believe that innovation and inspiration can cross borders, and that spreading our networks beyond our home countries can make us better at what we do. ILN is run by volunteers all around the world. Program Coordinators match participants, support the partnerships, and manage the website." Give it a try...you never know who you may meet while giving back to your international library community! "Amid all of the strife engulfing Ferguson, Missouri, this month, there is one spot in town that has become a refuge for children and parents: the library. The Ferguson Library has been an oasis of calm since the town's residents erupted in anger at the police after a Ferguson cop shot and killed an unarmed black teen, Michael Brown, on Aug. 9. It has used Twitter, Instagram, and Facebook to offer residents a place of respite for them to get bottled water, check their emails, and avoid the unrest developing on Ferguson's streets. As the Ferguson-Florissant School District postponed the start of the school year for more than a week, teachers set up shop at the Ferguson library, providing activities and instruction for children awaiting the start of class. Today, about 120 children showed up to the library for lessons and activities, though staff only expected about 60. 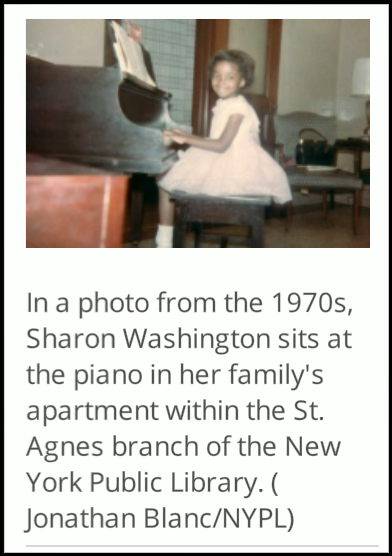 Teachers also began hosting classes in the nearby First Baptist Church." This month's issues of PACIFIC*STANDARD, has a small piece under the monthly Topic: 'You Don't Know America', by Anna Clark called, 'Who Says Libraries Are Going Extinct', that will warm the heart of every person who wants to tell everyone they know how much and why libraries are so important in America. This month's issue isn't on-line yet but when it is, you will find it at Pacific Standard's site. In short, it names examples of libraries such as those in Rochester, NY and Tulsa, OK that are providing services that are staying ahead of the "needs curve" to patrons and the community. These libraries are thriving because of their imagination and service-oriented plans to remain viable, important and accessible partners in their communities. See the whole article, below in the link to 'Related Articles' to read Ms. Clark's whole article from February this year. Who Says Libraries Are Going Extinct? You cannot effectively communicate with people about your project unless you know what your library needs are in great detail. We always stress the essential element - your Strategic Plan. A well researched and documented Plan is only the beginnning of the process of planning and building your new library or library space. It is an understatement to say that a project like this will demand of you a great deal of work and personal dedication. A Library Building Project is one of the most demanding and ultimately, rewarding projects you will ever do. This Workshop outlines in detail the work required so that you will be prepared to answer the questions put to you by your board, the public and your architect throughout the Library Building Project. "On the next episode of AL Live, we'll take a trip overseas. Our panel of international experts will discuss how some of Europe's top libraries currently see the role of the library and the librarian. This 60-minute episode will take place on Thursday, October 10th at 2pm Eastern. You can pre-register at http://goo.gl/ZeSRX2 (pre-registration is not required to attend). What are the ways you engage visitors and drive the continued relevance of the library as a cultural institution? How does the library interact or interface with other public institutions? How does the library market its services to the public? What types of technologies do European libraries use to enhance the user experience? What type of online interfaces do European libraries offer? Did your library win it's funding vote? Desperate times - desperate measures. Fighting fire with figurative fire. Negative energies aren't the only ones to make big noise. "Not every story at the library has a happy ending. Fortunately, this one (in Troy, Michagan) did." 36. THE TROY LIBRARY "Book Burning Party" - YouTube. Need a hit of Shakespeare? Heard of the Folger Shakespeare Library? Check out this fascinating library dedicated to all things Shakespeare. "The Folger Shakespeare Library collection has both great depth and a broad range. In round numbers, the Folger houses more than 256,000 books; 60,000 manuscripts; 250,000 playbills; 200 oil paintings; some 50,000 drawings, watercolors, prints, and photographs; and a wealth of other materials, including musical instruments, costumes, and films. The collection's two great strengths are materials related to the early modern age in the West, from about 1450 to the mid-1700s, and materials related to William Shakespeare and the theater, up to the present day." Admission is FREE! Get out of the heat and find out what was so HOT in Elizabethan England. Library as Third Place - I Geek Global Literacy! Just checking in on the Bill and Melinda Gates Foundation work with US Libraries. Here's the latest link form the foundation web site about their work to foster the community library as a safe Third Place in our lives. and don't forget the GEEK Your Library program sponsored by OCLC and the Gates Foundation. Want to follow a truly worthwhile site for news about exciting ways libraries are helping their communities? Try following 'Library as Incubator Project' on Twitter @IArtLibraries. They are so creative in finding the news about libraries that they search for. 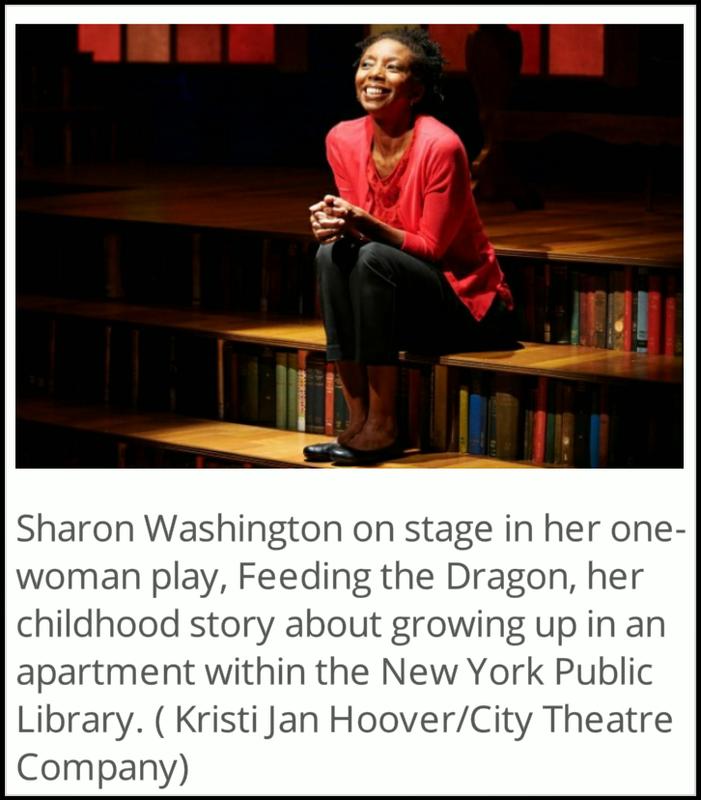 All the stories make me smile - imagine, getting the word out about how librarians support local communities through promotion of the arts! Take a look at this article. Are Canadian Libraries keeping up with what our society needs better than those in the US? 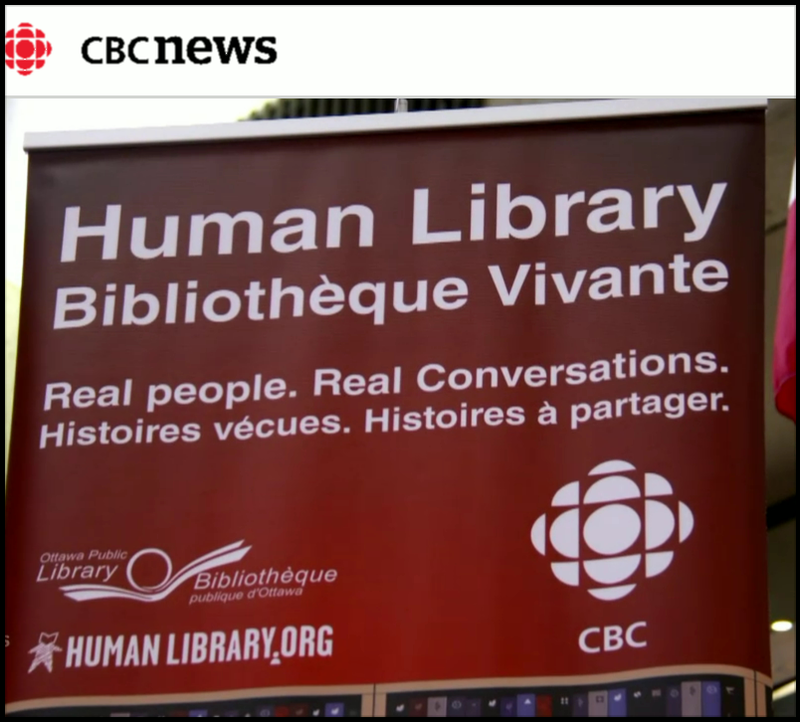 Listen to this lively debate on CBC Radio [The Read on Libraries, May 30, 2012 Radio > Q "What will the evolution of libraries be? The great debate on whether books will become obsolete.] 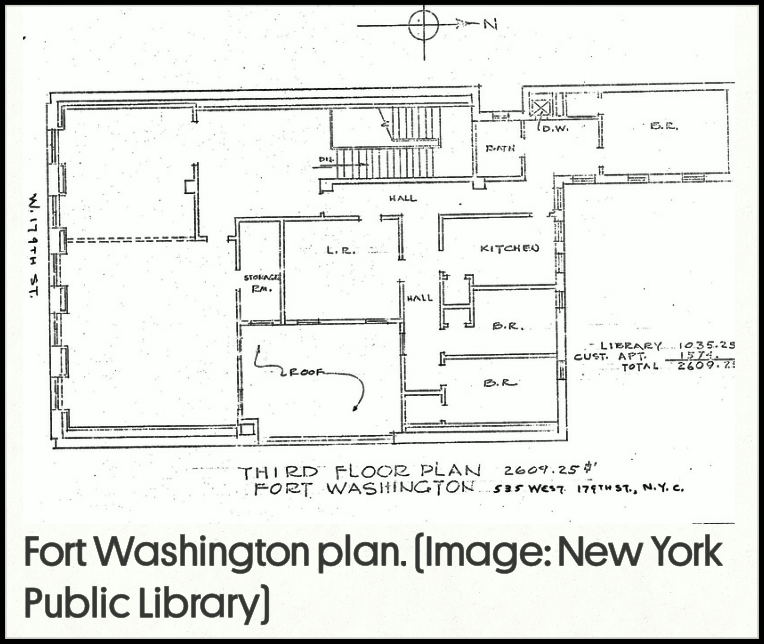 about the re-imagining of the 'LIBRARY' centered on but not limited to the new changes to the NYP Library on 5th. Do we need more social space? What is the original purpose of a library? What will come from making the library open to people who would not normally come into a library? Does opening the library up to the social network increase membership? Seattle library hides 1,000 books around town for young people to find. Americans lose their way. LIbrary funded by foreign interests. People actually think that this is a happy story. It is a common story. In the long run, it is not a positive tale and unfortunately for the children of this country it is one that is played out with regularity. Here's the story line; tiny, miserably funded, inadequately supported and ill provisioned local library goes for a funding vote. Short sighted community (I use the term loosely) votes down a budget to bring the library up to a standard that allows it's staff to do their jobs. Here's the twist. Pathos in the wings...library supporters do a video, put it on the web...presto! DONATIONS ROLE IN....FROM PEOPLE IN OTHER COUNTRIES. We in the U.S. have turned upside down and inside out our priorities, our sense of responsibility to our society and even lost the ability to discern a pathetic situation when we see it with our own eyes. This is not a happy story. It is a pathetic story. Even though the state was ready to fund 60% of this project, less than half of the citizens who did vote knew what a library is for and what a really good one can do for a small community. I am not made jubilant by this report. I am profoundly saddened by it. It is not the first one I have heard and it won't be the last. America you are in danger of total and irreversible collapse. You have lost your ability to stand up and support your own democracy - at your peril. This vid just in from Solano County on YouTube's MrDavidthelibrarian'schannel. Wow, is this library incredibly active, getting the word out about their library every way possible. There is such energy out there. It's got to make you smile. TELL your community what you do! This recent article in the Boston Globe, "The new independent bookshop: It’s in your local library", is instructive in two ways. It gets the word out to Bostonians that libraries are selling books. Actually selling books. In a bookstore. And people are coming in and buying them. Come to your Library and BUY BOOKS, just like in a REAL BOOKSTORE! It shows the library community that we are not effective in getting the word out to our communities about ALL the services we offer and what we do every day, every year for our communities. After you scan the Boston Globe article, take a look at this website out of Cornwall, Ontario, Canada. The Friends of the Cornwall Public Library/Les Amis de la Bibliothèque Publique de Cornwall have their own Friend's Space that was designed for them when the library moved to it's current location in the 90's. The Friend's Group there is incredibly active and has done amazing work for the library, raising many thousands of dollars that they have given to the library to fund essential needs. 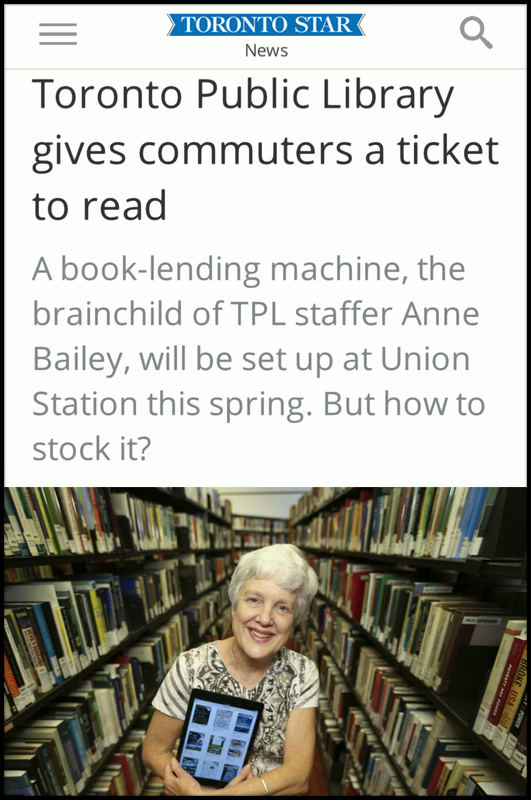 These are the people that do the work and bring in the people who normally wouldn't go to their library. These are the people who haul boxes of books, man the bookstore as volunteers and collect the money to help their library in a very real way. This is what the article in the Boston Globe is reporting about. We have had the privilege of knowing most of the people in this photograph, and we know the work that they do behind the scenes. Thousands of libraries across the US and Canada have Friend's Bookstores. Libraries are already doing nearly everything they can to bring in revenue to bolster dwindling funding. Librarians must be more active in their communities. Librarians must stand out, stand up and tell everyone about the services and amazing programs you offer at your libraries. Thanks and fondest regards to Cornwall Public Library/Bibliothèque Publique de Cornwall. In fact we have at least one thing in common with the Canadian librarian who coined this phrase. We too are nearly driven wild when we see library funding cut and communities who will not support the library. You are free to quote to anyone within hearing distance! Marilyn McIntosh, the Executive Director at Monroe Free Library in Monroe, New York and her intrepid, stalwart and intelligent staff. There's a 50-foot trailer in the parking lot of the Allen County Public Library in Fort Wayne, IN. Inside you will find what Library director Jeff Krull says is "a resource to the community that individuals would not be able to have access to on their own." He's right on the money! In this trailer he is walking the talk - demonstrating his philosophy about today's libraries. Mr. Krull shows his community what he believes...that a "library as not being in the book business, but being in the learning business and the exploration business and the expand-your-mind business." We love this! Check out just what is inside this trailer - here's the whole article from NPR, 11 December 2011 audio of interview included. People are using libraries to fulfill different needs as we roar into the 21st Century. This Huffington Post article sums it up well - all we have to do now is design physical spaces so that they are flexible. Users needs morph - so must our buildings. Here's the article: Good Read! Dynamic glass technology - SageGlass electronically tintable glass. Builiding a new library or addition? It takes less electricity to operate 2,000 square feet of SageGlass than it does to power a single 60-watt light bulb. I think, if you have the will and the resources, this option is well worth a good hard look. This solid-state reaction is controlled through a very low voltage power supply (less than 5V DC). A darkened state enables SageGlass to absorb and radiate away the sun’s unwanted heat and glare. A clear state allows you to maximize daylight and solar energy. SAGE Electrochromics that can be switched from clear to tinted with the click of a button. The glass can also be programmed to respond to changing sunlight and heat conditions. I have had the pleasure of producing the 'Geek Your Library' posters for the Wallkill Public Library. Wallkill Public Library Home Page It's been a blast, maily because the Chief Librarian, Lou Carolan is herself a 'Force for Librarianship'! I love doing these...my volunteer effort for my community, except everywhere is my community! Imagine, you are not even 10 years old yet and you have already traveled to about 25 countries - with your parents! Libraries are great places to fill out the 'road schooling' your parents are giving you. How much better can it get? Just in case you think the future of libraries is a dead topic...think again and follow these links! I found Michiel Laan today on Twitter, this energetic and passionate young librarian is interviewed on This Week In Libraries (link below). I discovered TWIL through a discussion on LinkedIn. We are particularly interested in the space planning and architectural programming aspect of how the physicall environment provided in new libraries and renovations meet the needs of communities that want their service needs met with spaces that serve as a community Commons. Respect for the surrounding landscape, the natural environment and the needs of the community (it has showers for bicycle and cross country ski commuters) has produced a stunning and ecologically efficient library design. Although I have not experienced the library myself, it looks like one that I would want to be in and appreciate - right up to it's grassed roof. You'll want to ski and hike and read all at once. photos: Hughes Condon Marler Architects. What would we do? the Egypt edition. How would we react if our library was under threat of looting and vandalism during a time of extreme crisis? I'd like to think that we would do what these people did to protect the Library at Alexandria (yes, THAT library!) this month in Egypt. "Young students from the university designed and made a huge National Flag, and put it on the steps of the Library which elicited cheers from passing demonstrators as the director waved to the crowds." to protect their future and our past too. What does 'the commons' mean to you? Listen to our teens! They want a space to call their own in their libraries. We all need a space to call our own. Places and spaces for us to come together face to face, outside of our cyberworlds, are becoming ever more necessary for our sanity, emotional development and survival. Think of the importance of a city square where thousands co-operate to bring about the first steps toward democracy to a county. Think of a hotel lobby with foor lamps and really cozy arm chairs where two people lay aside their books to discuss both sides of the political views on universal health care. Think about how your library provides this essential 'spacial opportunity' that you provide for people of all ages in your community. We call it the commons. "Filled with practical solutions for today's economic, political, and cultural issues, it's a much-needed and thoroughly accessible field guide to the new world of the commons. Including success stories from communities across the country and around the world, this book is for anyone seeking new ways of thinking about our shared values." A very old idea has once more morphed into a very currrent and modern solution for our inter-isolated, globally-intertwined lives. Libraries are the core of the much larger concept of 'the commons' discussed in this book. 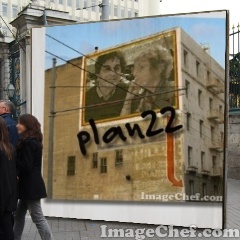 At PLAN22 we think libraries are an essential and integral piece of a communty's commons. Look around you, listen to your neighbours, observe the growing popularity of this concept that is once more becoming a respected ideal in our modern world. Oh Canada, (libraries) subtle, strong and free! "Sometimes a library is just a library. Other times,(...)the coolest place on earth." The American Libraries Magazine on line published this little gem the beginning of March this year. The Winter Games were an opportunity to show the world that libraries are more than just books. "...under exceptional circumstances, a library has got to be more than just books, movies, and technology; it’s got to be a flexible, fluid entity that responds to (or better yet, anticipates) its audience. It starts out with noble intentions, and then it gives the crowds what they really want:..."
Read more of Shelley Civkin's (communications officer at Richmond PL) article about their Olympic experience! Green Your Library BLOG in American Libraries Mag - check it out!